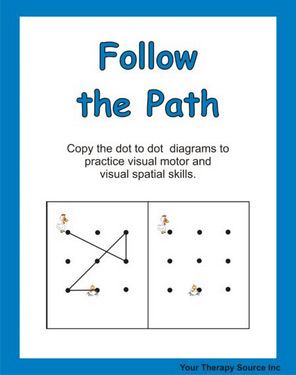 These awesome, printable visual worksheets above are just a sample of those designed by the terrific team of pediatric therapists and special education teachers over at Your Therapy Source. 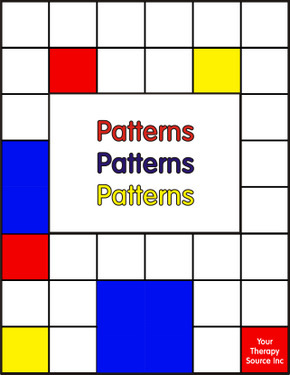 After finding and using their resources in my own home and therapy setting, I begged to make them available on my site! And here they are! 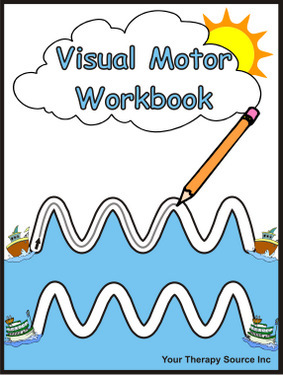 I have specifically compiled the worksheets and workbooks that I have found most useful in developing and refining kids' visual perceptual skills and visual motor skills. 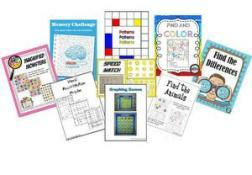 No, they are not free, but they are very affordable, and you can replicate the pages as often as you need to with the kids in your family, class or therapy setting. What a bargain! 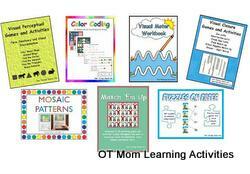 I personally have returned to the resources over and over, printing just what I need for each child who needs it. 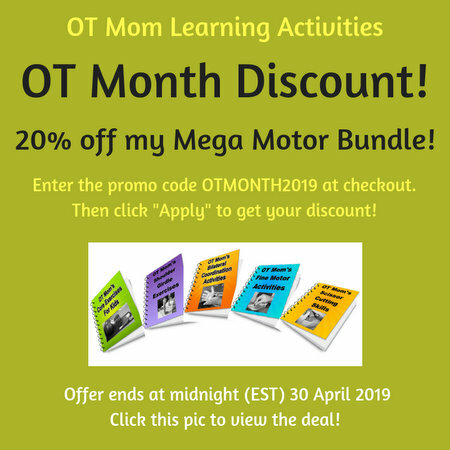 To make them even more affordable, I have negotiated great bundle deals (up to 30% off individual titles) especially for my OT Mom visitors. 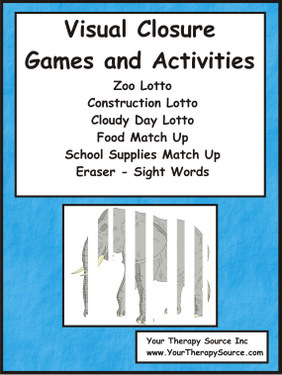 Here are the 4 categories of printable visual worksheets and activities that I currently host on my site. 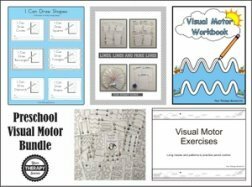 Go ahead and read my personal descriptions and reviews of a whole range of these wonderful resources! There are different Discount Bundle Deals on each page, so do check them out!